Over the years, AfriKids has witnessed great change in Ghana’s Upper East Region and one of our greatest strengths is that we continuously listen and adapt to this changing environment. What began as direct support to hundreds of children, providing things like school uniforms and books, has evolved into programmes making permanent, systemic changes for the improved education, protection and health of all children. We have always been committed to learning and improving; building on what we have achieved so that we can go further. In the early 2000s AfriKids was running a handful of local-led, community-specific projects and pilots. Following the success of these small-scale initiatives, our work picked up the pace. We increased the number of projects and started to involve more people from local communities, as well as more levels of society, including government departments, traditional chiefs and parents. Our broad child rights mission began to focus on giving children the education, protection, healthcare and voice they needed to break the cycle of poverty. Our growing local team were constantly learning from the successes and challenges that confronted them. By tackling the most urgent issues, such as getting children off the streets and back into school, we have now been able to take on the more complex ones – improving the quality of the teaching in schools and ensuring children don’t find themselves back living and working on the streets. We are moving up the ladder of change, one step at a time, and building a stronger team behind us along the way. Following major achievements, such as ending the Spirit Child Phenomenon in several communities and getting more children into school, we are now able to take on the next levels of change. Because we have eradicated the harmful, traditional belief of the Spirit Child Phenomenon in Sirigu village and six surrounding communities, we are scaling up this work within 33 further communities who have asked specifically for this support. In the areas where we have successfully ended the harmful practice that puts children with disabilities in danger, we are demanding better support from the education and health systems for the children we have protected. 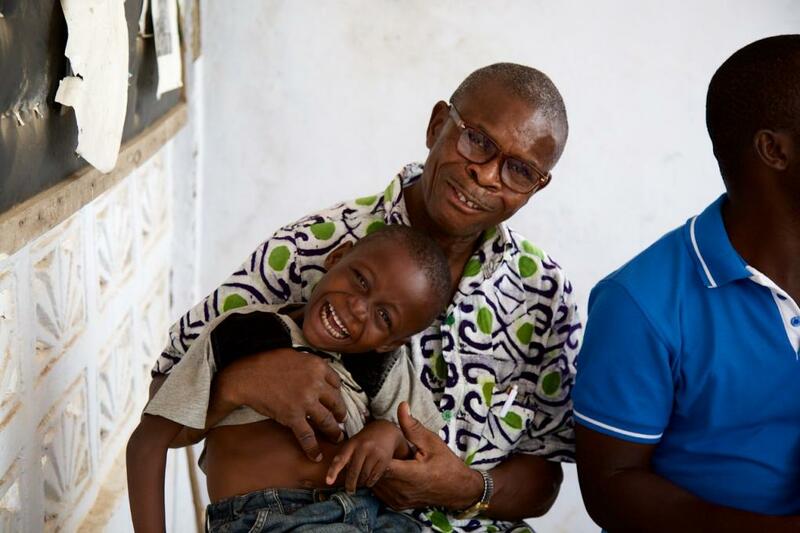 In these communities, children living with disabilities were previously abandoned or neglected, but after years of changing attitudes we have seen incredible shifts. The next stage is to support the families of these children to ensure they are provided for and have equal opportunities to go to school and live a happy, healthy and safe childhood. We’ve seen more and more children starting school since we started work in the area and, whilst we’ll continue to ensure this continues, we’re now looking to improve the quality of teaching they will receive. We are also looking at all the push and pull factors that might cause them to drop out, including child marriage and child labour, and addressing these so that more children stay in school to attain a Basic Education (completing the exams at the end of Junior High School). Since our work began, we have learned that girls miss out on school because of inadequate washroom facilities and pressures to marry young. We learned that the earliest years of schooling are the most critical to a child’s ability to learn and progress. We learned that the children in homes without electricity fall behind because they can’t do their homework in the evenings. Every time we learn something new, a door opens for us to take down another barrier to children being safe, healthy and educated. Many lessons have been learned over the years, but that doesn’t mean we know it all. We pride ourselves on continuing to improve and develop so that our impact can keep growing. From everything we have taken on board, we have now developed a new strategy for the next four years, with fresh and ambitious goals and objectives for the future. We look forward to exploring these in our next blog – join us for the next chapter?